A small milestone went quietly by a few weeks ago. The other Sean commented at work the other day that it had been over four years since we started blogging. Three of us started writing at about the same time, and I think it has been a great exercise and outlet for all of us. I looked up my first post and found it was written on August 4th of 2007. In that first post I mentioned a couple of missions for the blog. More than anything, I wanted to get back into the habit of writing again. I had kept journals sporadically since I was in my 20's, and I had found clarity and comfort in writing. I find that my head is clearer when I am away from home and on my bike. At times it seems even my vision is clearer. I’ve had no significant epiphanies while riding, but they often seem like they are just over the next hill. 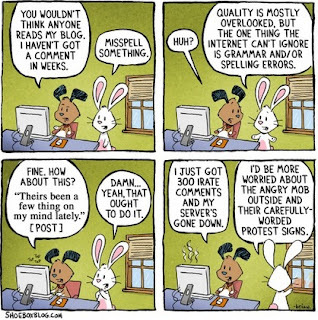 And this is where the name of the blog came from. I wanted to bring the peace that I found while riding back home with me. To find clarity, inspiration and beauty in my daily life, not just when I am away and unburdened. Much has changed in the past four years. The end of my marriage made me question myself more than ever. There were more navel-gazing posts as I sought to find the answers I would never be given. I have tried to become a better version of myself, and the pursuit of clarity continues. With the move to San Diego, the blog has also become a place where my friends and family in Washington can check in and see what is going on in my life. I have never been good at calling or sending the random email to stay in touch, so this is where I tell my story. But I haven't been very good at that lately either, and I would like to get back to mixing in pieces of my daily life. I would like to get back to paying attention to the extraordinary in the mundane. Motivation and creativity peaks and troughs. 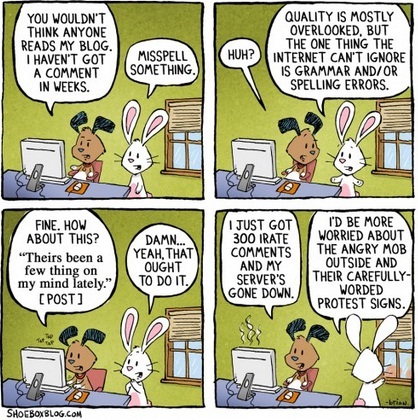 Sometimes the writing is forced, and the quality ebbs and flows as well (sorry 'bout that). But the habit of this blog, and the thought that there are a few people out there expecting a post, has kept me writing. And there are moments when I feel like I am reaching that goal I set at the beginning - brief moments of clarity in my fog of thoughts. Among the rambling and brain emptying, there are some posts I am proud of. And the blog gave me the strength to quiet my inner critic long enough to get a novel down on paper. So, thank you for continuing to stop by, for whatever reason. You have helped me to keep going. I still promise no answers, only the viewpoint from an infrequent rider. driving home at half speed. in a dot, dot, dash formation. I saw this decal in a car window the other day. 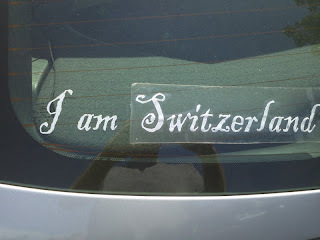 I have joked, semi-seriously, that I am Switzerland. A neutral party that doesn't get caught up in conflict. Someone who doesn't offer opinions, remaining uninvolved. It still aspire to see every side of an issue, but of course I have my opinions and judgments. I am not a neutral country. When I wrote the post If you don't observe them, do irritating people disappear? back in 2009, I was meeting with a marriage and personal counselor as my marriage circled the drain. My thoughts were both jumbled and running deeper than normal back then. Two years down the road, I wonder if I have retained any of the lessons I learned back then. Recently, a friend has taken it upon herself to point out my opinions whenever I offer them, large or small. Here is a small one - I don't like the current fashion of baseball caps with perfectly flat brims. If they are worn at a 45 degree angle to the face, I think it looks even sillier. Opinions on trivial subjects, I have them. I am not sure what prompted this exercise, but it may have been that I said I was more easy-going than most. That I don't have rigid ideas of how things should be. That if things don't go the way I expect, that I am not as easily derailed by it. More to the point, I have fewer expectations that things will go the way I expect. But like all good friends, she has challenged my self-perception. I never thought I was, but I will say it here to be clear - I am no Zen Master rising above it all. I am not coated in Teflon. I get frustrated and irritated, and things and people piss me off just like everyone else. But back to the point of the previous post. Do these irritations grow into grudges, and do I lug them around wherever I go. My friend reminded me the other day about something that had pissed me off a couple weeks earlier. I had forgotten all about it, but when she brought it up, the irritation came back and my voice took a quick edge. I didn't think I was carrying it around, but it clearly still bothered me. To use the example of the cigarettes in the street from the previous post, I wasn't consciously thinking about the irritation after I left it behind, or letting stewing frustration alter my day. I wasn't using this one behavior to paint a picture of callous disregard by my neighbor and society. But it is something that I am not happy about, and if I was sharing a beer with another neighbor and he brought up the cigarette problem, I would be able to speak passionately about it. But I do my best not to harbor grudges. I have seen friendships torn apart over what (as an outsider) seems like trivial slights or disagreements. No one believes the exact same things you do, and everyone has different beliefs in what is important in this world. There will always be conflict as long as you are alive and interacting with others. It is just something that is a part of everyone's waking life. Another friend brings up slights that happened in high school twenty years earlier. I can't imagine carrying that sort of thing top of mind for that long. Whether it is conscious choice or a poor memory, I just don't have the mental space for it. And like I said in the previous post, you are suffering by carrying it around when the person who offended you has long forgotten it. This is not to say that you shouldn't stand up for what you believe in, but if you let a friendship fall over a single incident, well, soon you won't have friendships to lose. I try to follow this rule (yes I have rules): If something bothers me enough that I can't let it go and it dominates my mind more than it should, I do something about it. If it doesn't bother me enough, I do my best to chalk it up to the world not being exactly the way I want it. Of course the risk is that I am burying resentments rather than dealing with them, and that is something I will continue to watch for. 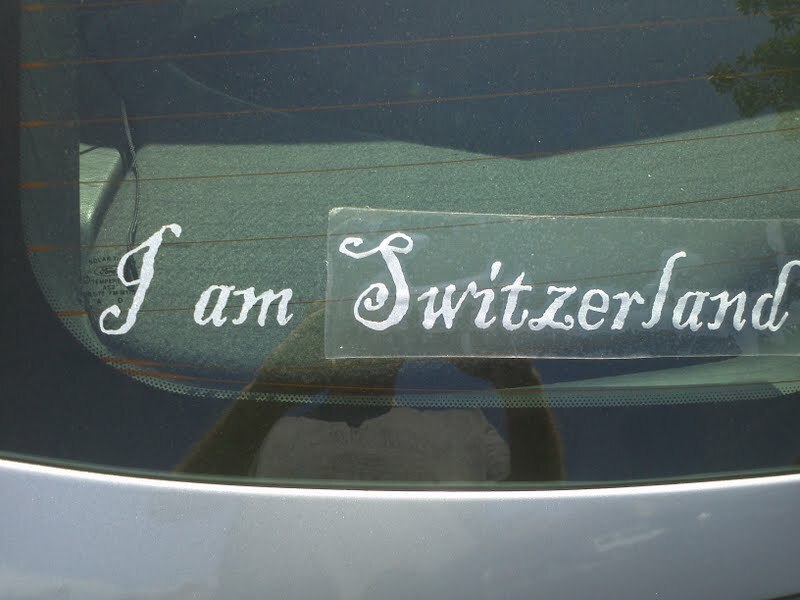 I am not Switzerland. There are issues that I am not neutral on. But I like to think I keep things in perspective, and I try not to pretend my opinions are truth. I try not to read any malice when there is none, or let a single incident bloom into permanent judgment. But of course I have memories and the baggage to go with them, and maybe ironically, I am struggling with forgiveness right now. But that is a subject for another post. There are widgets and programs that will tell you all sorts of information about your blog or website. How many people visit each day, how much time they spend reading, where they're from, and how on earth they got to my little cul-de-sac of the internet. I don't obsess or even pay that much attention to the reports, but I will check them out every couple of months out of curiosity. Most of my readership are returning visitors, and not surprisingly they are concentrated in Washington and California. And no I don't know who you are, just vaguely where you are from. But there are the random folks that pop in because they have typed in some sort of search term into Google and I show up in the results. 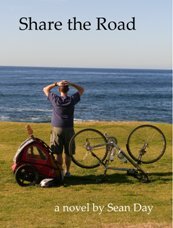 It might be my comments on the Pearl Izumi ad campaign, my ride reports on the STP or RSVP, or simply following a link to a picture of the University of Washington logo I grabbed from someone else. But there is a post that consistently ranks above all others in bringing new people to the blog. It is something I wrote more than two years ago, and it doesn't have any buzzwords or pictures that would pop up regularly in a web search. It turns out that all the traffic is coming from a a link on a therapy site. I figured I would re-post it here, and in the next installment let you know how things have changed in the past two years. If you don't observe them, do irritating people disappear? He started with two ideas from science. First - scientists have observed that matter is actually 99.9999....% empty space. There isn't much of anything in between all the atoms, neutrons, electrons etc. Second - according to quantum physics, observation affects reality. Then he paired the above observations with dealing with difficult people. He makes the point that difficult people are only difficult to you a small percentage of your time. He gives examples of neighbors who flick cigarette butts out on their sidewalk. The amount of time in his life that he sees the cigarette butts is .0001% of his life. The rest of the time, he isn't experiencing those difficult people. Of course many folks let these sorts things bother them for a much larger portion of their lives. Back to the observation of matter, you are observing the problem it as if it were 100% solid, when in reality, the real matter only occupies .0001% of the space. The goal of course is to not let such a small thing ruin your day. To reinforce his point, he relays a story of two monks encountering a beautiful lady at the edge of a stream. The lady is in a bit of distress and needs to get to the other side of the stream for some reason. So one of the monks picks her up in his arms and carries her to the other side, where he sets her down and receives a quick kiss on the cheek. The two monks continue walking. It becomes apparent that the second monk is furious, smoke practically coming out of his ears. He can't contain himself and finally has to say something. "How can you have done that? We are supposed to stay away from women, yet you carried this woman across the stream." The first monk says, "you know, I put her down miles ago. You are still carrying her." That is what you are doing if you let someone continue to irritate you, or you let one thought dominate your mind. You continue to carry something that should have been set down a long time ago. And of course the frustration you carry around, the difficult person probably isn't thinking twice about. Why should you be the person suffering? 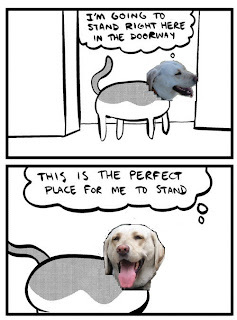 The above cartoon was about cats, but my pooch has developed the same bad habit. She likes to stand in doorways, or really anyplace you might be headed where you can trip over her. This is not terribly new, but it is definitely getting worse. She has always wanted to be where her people are, but was never this clingy. In the past, if I left the room, she wouldn't follow me right away. If I was gone for more than a few minutes though, she would come find me. But since we moved to California, she is at my heels at all times. If I leave the room to go get something, she gets up, even though her legs are bad and it pains her to get up. Often I am only gone for a few seconds, and I end up bumping into her on the way back in. If I am moving around the house too much, she will just stand a doorway, knowing that I, or someone else, will be coming by soon. I was up in Washington for a week in July. While I was gone, she became ill. She couldn't keep food down and was losing interest in eating. The lack of interest in eating is pretty significant for her as she still does a happy dance when it is mealtime, even on two bad knees. With her diabetes, it is even more important for her to have a steady intake of food. When her blood sugar gets too low, she becomes disorientated and doesn't have the strength to stand. It can be pretty scary. There was no cell service where I was staying, and my poor roommates were left to take care of my sick pooch without being able to contact me regularly. They were great caregivers. They cleaned up all the messes, consulted with Kristy for critter advice, and when the pooch didn't improve, they took her into the vet. The diagnosis was inconclusive, but they put her on meds to essentially shut off the brain trigger that makes you throw up. She was better for a day or two, but then was back to losing her meals. It was a helpless feeling being so far away and unable to do anything. When I returned to San Diego, I continued feeding her the milder rice and chicken broth meals that my roommates had started. She improved relatively quickly, and was back on her regular food in a couple of days. My non-medical diagnosis - she missed me and made her self sick with worry. 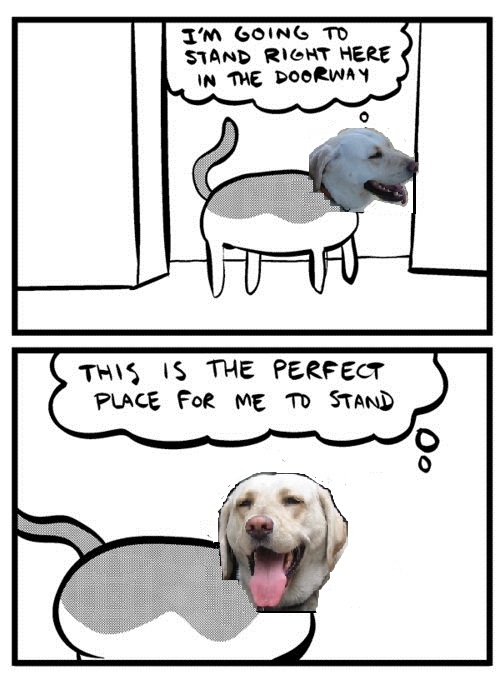 This is nothing about what a great dog owner I am, it is just the way things are now. Things were already pretty different down here for her, but her sight and hearing have really deteriorated over the last six months. It is easy for her to feel lost and disconnected now. When I wasn't sitting next to her in the evenings, or in the bed next to her when she woke up in the morning, I think she kind of shut down. I was recently over at Kristy's place to house sit for five days. I have left the pooch behind in the past because I thought it was more disruptive than having her at home. There are more stairs to navigate, and animals she is not used to there. But I brought her along this time, and the change of venue didn't seem to phase her much. She was just happy to be where I was. So I will take the standing in doorways, getting underfoot and sticking to me like a shadow if it makes her feel safe. I am just happy to still have her by side. 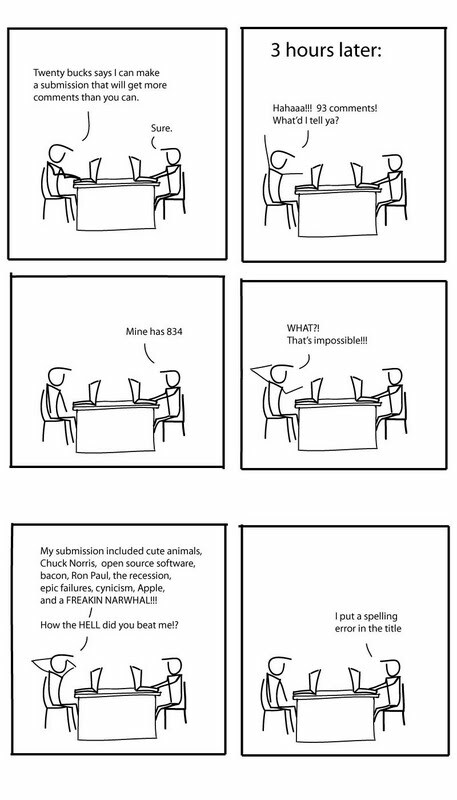 Nothing angers the internet like terrible spelling. I'm not even sure where my pants are. 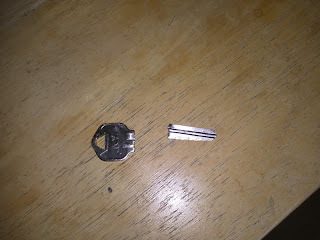 I broke off a key in a deadbolt. The piece was stuck in the lock, so I had to take it apart to get it out. In the process, I learned how locks work. I also learned how NOT to take a lock apart. Pins and springs everywhere. 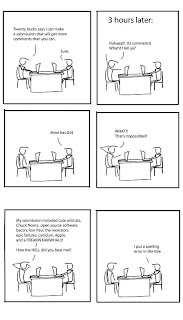 Whenever I work on something, I always keep in the back of my head the medical edict of "First, do no harm." Basically, don't make things worse than they were before you started messing with it. Pay attention to how you take things apart so you can put it all back the way you found it. But now the lock lay in pieces, and since things were spring loaded, I hadn't so much taken it apart, as it came apart. As I tracked down pieces and figured out where everything went, I began to understand how it all worked. How the pins and springs interact with all the dips and peaks in individual keys. I had installed locks before, but never had to pull a cylinder apart. Who knows if I will ever use this knowledge, but it is still cool to know how one more thing works. Later, I jumped online and found instructions on how I should have done it. Never too late to read the instructions. 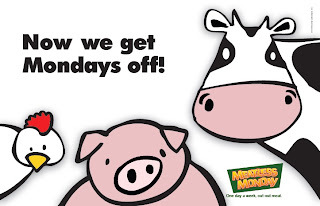 Have you heard of Meatless Mondays? It is a pledge to not eat meat one day a week for health and environmental reasons. By just making this small change, you can have a big impact. Most U.S. livestock are fattened on soybean meal, corn and other grains that require large amounts of fertilizer, fuel, pesticides and water. Adult men, on average, get twice as much protein as necessary. In 2009, the U.S. produced 208 pounds of meat per person. Antibiotics and hormones used in livestock increase risk of resistant bacteria and certain cancers. Grass fed, organic and pasture raised meat, eggs and dairy can reduce your exposure to harmful chemicals, and they have been shown to have higher vitamin content and lower saturated fat. Unfortunately, it does not reduce the environmental impacts in the same way. However, the type of meat you choose can make a difference. Chicken, turkey and fish have a much smaller impact than beef or lamb (or even cheese). If you eat one less burger a week, it is like taking your car off the road for 320 miles. If you and your four person family skip steak one day a week, it is like taking your car off the road for almost 3 months. If everyone in the U.S. ate no meat or cheese just one day a week, it would be like taking 7.6 million cars off the road. 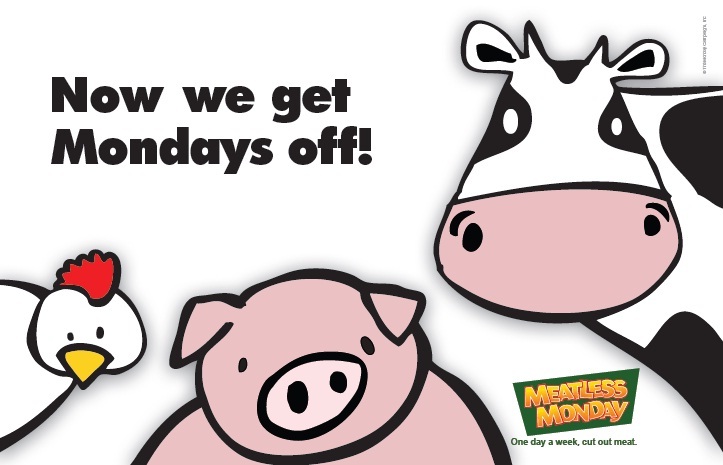 Whatever your motivation - health, environment or simply your grocery bill, giving up meat one day a week does not seem like it should be that difficult. I think that this is something I can do indefinitely. But for the August challenge, I will flip it around and instead of giving up meat one day a week, I will only have it one day a week. I will probably choose Saturdays as this is the day I typically do my long runs, and when there will be the most muscle damage in need of protein repair. I think this will not only give me a good jump start toward a lifelong commitment, but will help me to continue the weight loss challenge. It should also broaden my culinary horizons and increase the variety of foods that I put in my body. For the ongoing resolution a month thing, the plan for July was to make better lifestyle choices and try to lose 10 pounds. I did eat better foods, consumed fewer liquid calories, avoided drive-thrus and late night snacks. I did really well the first week, and then undid the progress when I was on vacation. I did relatively well the last couple of weeks, and ended up losing five pounds. Ten pounds was kind of a long shot, and I was hoping that the difficult goal would scare me straight on my food intake. Turns out I don't scare that easily. I do feel better overall though, and plan to continue to make the changes necessary to lose the next five pounds by marathon morning. And August's resolution should help in that regard. Hey, this guy stole my bit. Sounds more inspiring and clever at TED.